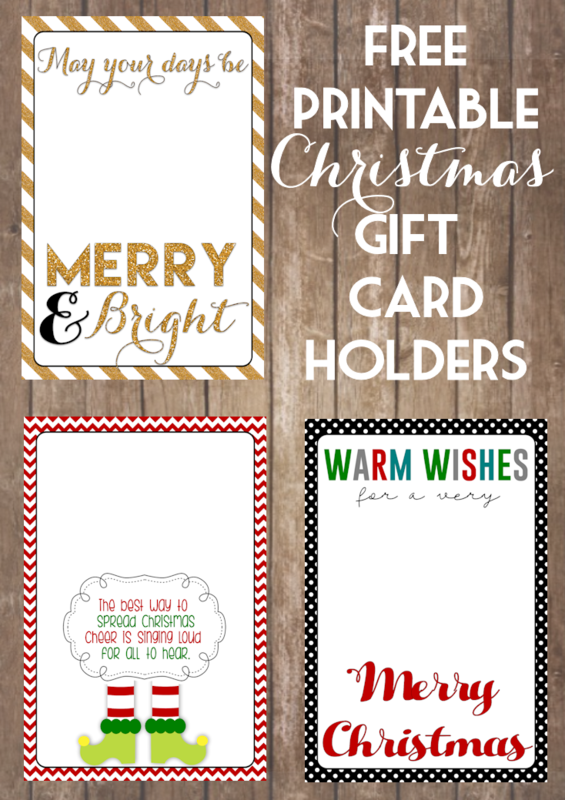 Printable Christmas Gift Card Holders come in handy when you purchase gift cards in bulk and you need something cute and festive to put them in. I’m super excited to be teaming up with some amazing bloggers to give you a collection of Neighbor Christmas Gifts with Printables. It doesn’t have to cost you a lot of money to let the people in your life know that you care about them and are thinking about them during the holidays. I love the idea of neighbor gifts. I know my neighbors (who are really like family to us at this point) have bailed us out more times than I can count. From taking my kids to the bus stop when I’m running late to babysitting during emergencies. We don’t have any family nearby so having wonderful neighbors and friends who live nearby has been such a blessing. 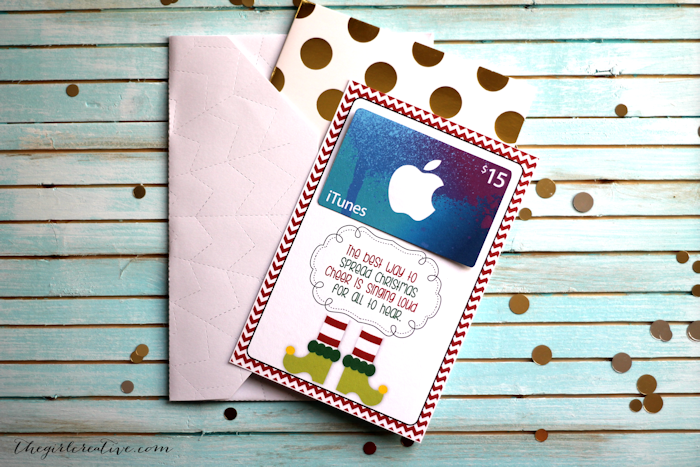 For this blog hop I created simple Christmas Gift Card Holders. The template was inspired by this fun printable over at Crazy Little Projects. There are 3 designs in all. When creating each one I was trying to come up with sayings that could go with specific types of gift cards. 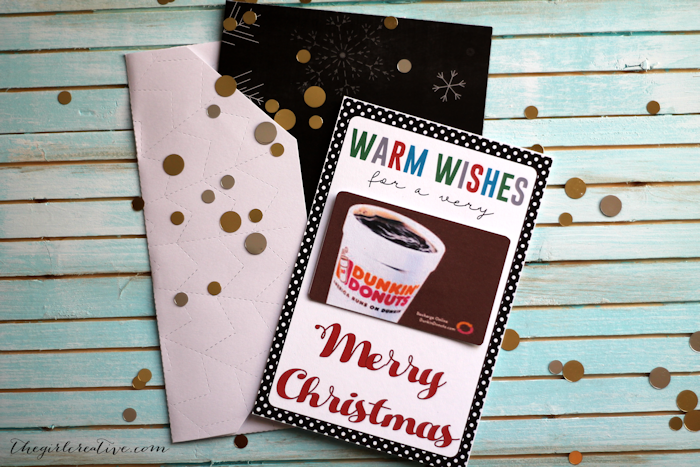 Warm Wishes for a Very Merry Christmas would be perfect for gift cards to Dunkin Donuts or Starbucks or anywhere that sells drinks or foods that can keep you warm and toasty. “The best way to spread Christmas cheer is singing loud for all to hear” would be great for an iTunes or any type of gift card where your friends or neighbors may buy some music so they can sing loud for all to hear. I LOVE the movie Elf so this phrase is fitting and I’m sure will bring a smile to Elf fans everywhere! 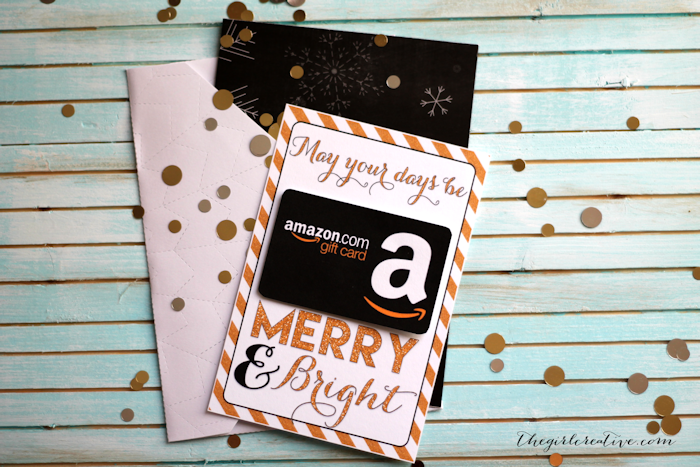 “May Your Days Be Merry & Bright” is the perfect gift card holder for any gift card. 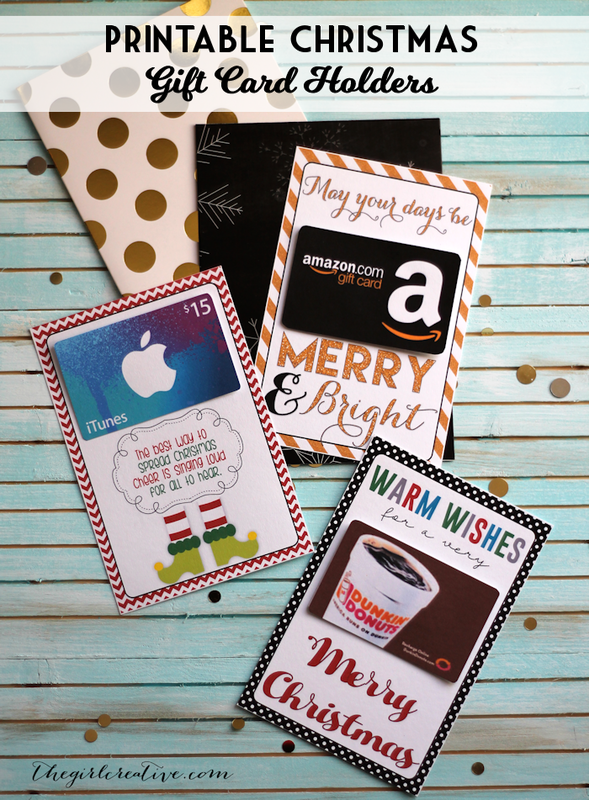 You can of course use any of the Christmas gift card holders for any type of gift card but these are fun if you love puns and themes. All you need to do is stick the gift cards on with a piece of tape. The gift card holder will fit perfectly into a standard greeting or Christmas card. You can print them out right at home onto white card stock and just trim them down to size. 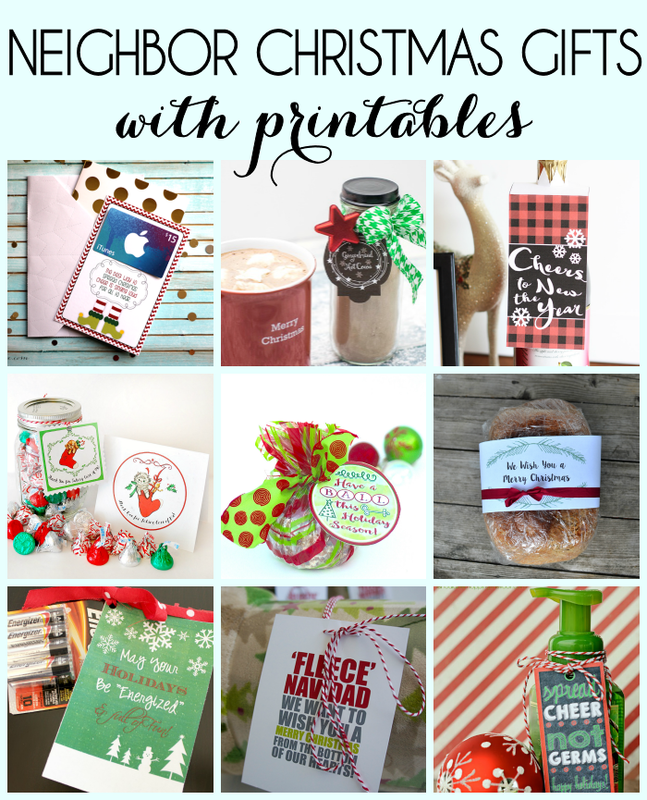 For more Neighbor Christmas Gifts with Printables ideas, check out these projects below! Shop a carport at carportbuy for Christmas Gift! Thank you so much for your printables! Today I downloaded 'O Holy Night' as well as 'merry and bright' gift tag. How very kind and generous of you!